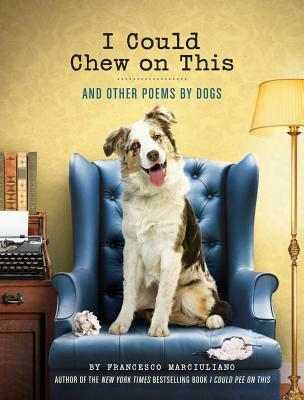 From Goodreads ~ This canine companion to "I Could Pee on This", the beloved volume of poems by cats, "I Could Chew on This" will have dog lovers laughing out loud. Doggie laureates not only chew on quite a lot of things, they also reveal their creativity, their hidden motives, and their eternal (and sometimes misguided) effervescence through such musings as "I Dropped a Ball," "I Lose My Mind When You Leave the House" and "Can You Smell That?" 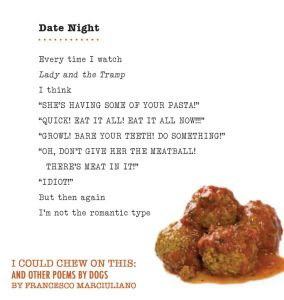 Accompanied throughout by portraits of the canine poets in all their magnificence, "I Could Chew on This" is a work of unbridled enthusiasm, insatiable appetite, and, yes, creative genius. 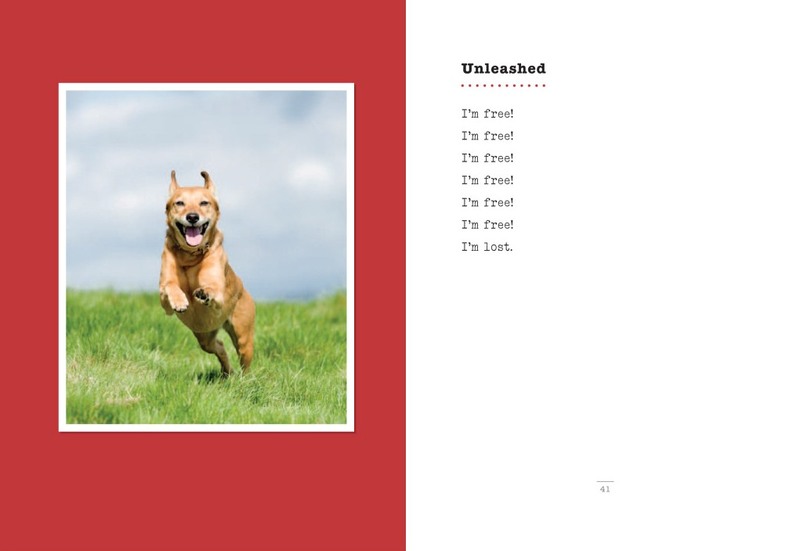 I'm not into poetry but I'm into dogs and that's why this book caught my eye ... plus I recently read I Could Pee on This and enjoyed it. 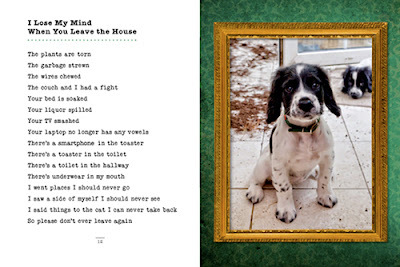 The poems are "written" by dogs and are grouped into four categories ... inside, outside, by your side and heavy thinking. 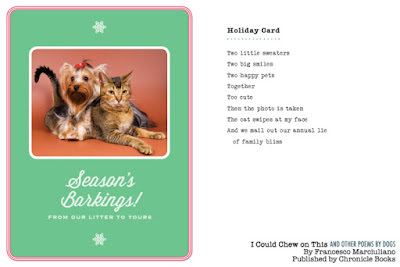 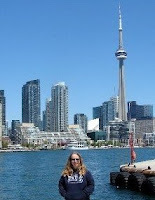 They give you insight into what your dog is thinking and why they do what they do. Plus there are lots of colour pictures of gorgeous puppies and dogs.